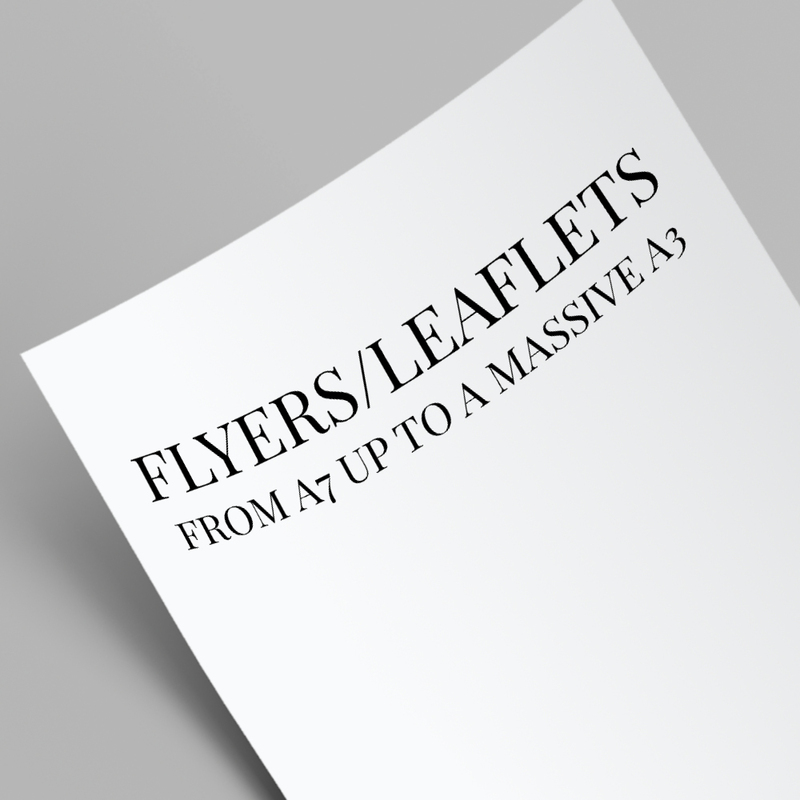 Flyers and leaflets make light work of spreading the word for your clients and are the most cost effective method of marketing for any business. Our extensive range offers an array of sizes in both flat and folded format. Our flat flyers are available in a wide variety of sizes from DL to A3 and are printed double or single-sided on a selection of paperweights. In regards to stock, you can choose from Silk, which has a slight sheen and smooth finish; Gloss, which offers high shine and vibrancy; Uncoated, which is perfect for writing on; and Recycled Uncoated, which is produced from recycled paper. Turnaround times: Everything in your order must be signed off by 5pm or your order will be delayed until every item is approved. We use a combination of digital and litho methods to allow us to give you the best price we can. As a general rule of thumb, print runs up to 500 are printed digitally while runs above 500 will be printed litho but this cannot be guaranteed.